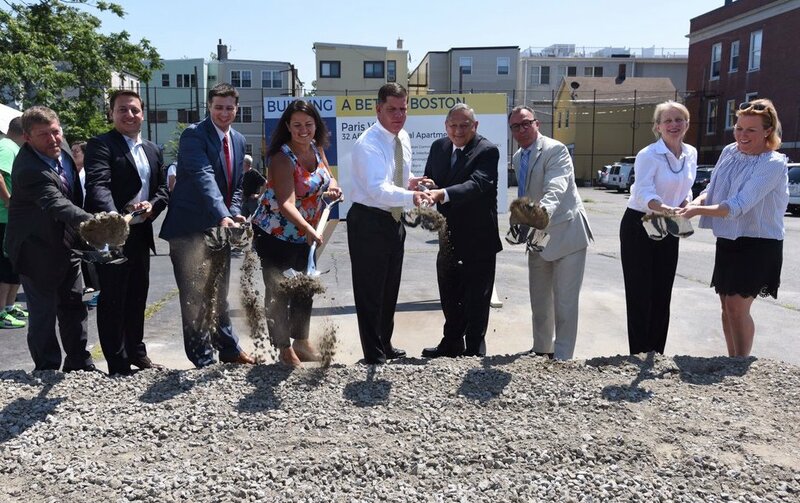 Wednesday August 9, 2017- Mayor Martin J. Walsh joined East Boston Community Development Corporation, East Boston Residents, and local elected officials to celebrate the groundbreaking for Paris Village, a $14 million residential community that features 32 affordable apartments for working families in East Boston. Affirmative Investments assisted EBCDC Inc. as financial consultant, and structured the combination of Federal and State Low Income Housing Tax Credits, DHCD HOME funds, Housing Stabilization funds, AHT funds, City of Boston funds, and first mortgage. Mayor Walsh said, “I want to thank our partners for their work to make these homes possible”. To read and learn more about Paris Village Apartments, click here.